In this tutorial, we will show you to how to configure Apache Maven in your Windows machine. To make it simple I have separated all in stepwise. 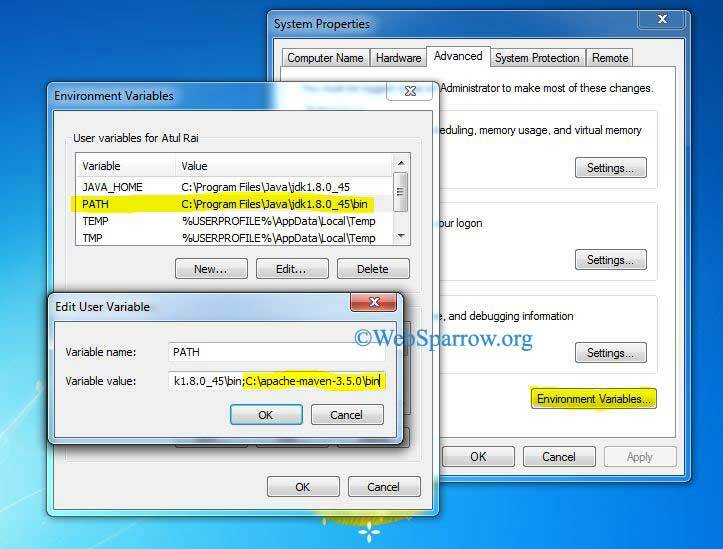 1- Ensure JAVA_HOME environment variable is set and points to your JDK installation. 2- Maven 3.3+ require JDK 1.7 or above to execute. Step 1: Very first step is to download the Apache Maven zip file by clicking here and unzip the file. Step 2: Put the extracted file in C drive or anywhere you could wish. Step 5: To confirm go to the command prompt and use the command mvn -v. If maven is successfully installed in your machine you will get the below message.